20th March 2018, London – The re-opening of corruption charges against former South African President Jacob Zuma, relating to a 1999 arms deal, are a welcome step and should mark the beginning of justice finally being served, according to Transparency International Defence & Security. Research from Corruption Watch UK into the scandal known as the ‘Arms Deal’ suggests billions of taxpayers money was squandered – at a time when the South African government claimed that there were insufficient funds to treat thousands of citizens for AIDS. 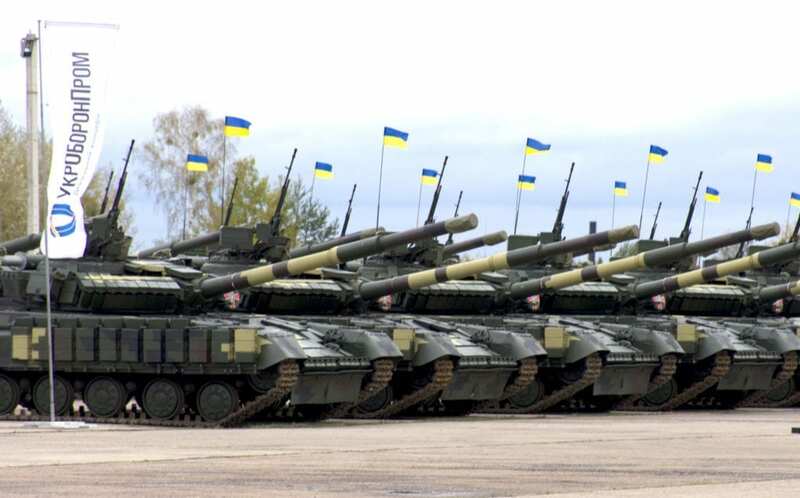 The Independent Defence Anti-Corruption Committee (NAKO) announced that it would withdraw from engagement with UkrOboronProm, due to the failure of the Government and Presidential Administration to make progress in establishing an independent Supervisory board. The committee had hoped to support efforts to reform the state-owned enterprise, both by providing advisory services and by advising the Government and Presidential Administration on the steps needed to establish an independent and effective Supervisory board for the Company. Recommendations were provided to Deputy Head of the Presidential Administration Valeriy Kondratiuk, who committed to supporting their implementation. We hoped we could contribute to reducing the high corruption risk that exists in UkrOboronProm today, and ensure that UkrOboronProm is overseen by an independent, effective board, so that the firm could do what it should: provide our troops with the equipment they need and use taxpayer funds wisely. Unfortunately, we do not see that this presidential administration has the political will for real change. At the invitation of UkrOboronProm, NAKO has monitored UkrOboronProm’s procurement of a consulting firm to advise and support the implementation of governance reform. Without an independent Supervisory board in place, however, the NAKO committee determined that the procurement of a consultant would be out of line with Ukrainian legislation (Article 6 of the Law of Ukraine “On features of management of objects of state-owned property in the defence industry complex” requires Supervisory board sign-off on strategy, audit, and reorganisation of the Company). More importantly, the procurement of a consultant would have little chance of affecting substantive change. The OECD Principles on Corporate Governance of State-Owned Enterprises represent good practice internationally on governance of state-owned enterprises. According to these principles, the government is responsible for establishing well-structured, merit-based and transparent board nomination processes in State-owned enterprises. These boards are required to provide strategic guidance and monitor management, and are ultimately accountable for the Company’s integrity and performance. Given the allegations surrounding senior political leaders’ relationship with UkrOboronProm, it is absolutely vital that the Supervisory board is genuinely independent, said Drago Kos, co-chair of the NAKO. In a time of war, the largest state-owned defence enterprise must meet the needs of the troops – [not political leaders.] The only way for this to happen is through a supervisory board that is independent and trusted by the Ukrainian public. NAKO announced that it would work with others to develop concrete recommendations on how to put in place an independent Supervisory board in 2018, and offered their continued support to the government on their implementation. The Independent Defence Anti-Corruption Committee (Nezalezhny Antikorrupciynii Komitet z pytan oborony, or “NAKO”) is a joint initiative established by Ukrainian activists, journalists and international experts to fight corruption in the Ukrainian defence sector. The NAKO is a national-international project of Transparency International Defence & Security and Transparency International Ukraine, and is supported by the Ministry of Foreign Affairs of the Netherlands. The illegal trade between government-controlled Ukraine and the occupied territories in Donbas is conducted systematically, facilitated by Ukrainian defense and security institutions, according to new research. The illegal trade undermines defence capacity, and damages Ukraine’s economy and reputation. And it is so lucrative that those involved have an interest in sustaining the conflict, potentially prolonging the war. The research, Crossing the line: how the illegal trade with occupied Donbas has undermined defence integrity, was completed by the Independent Defence Anti-Corruption Committee (NAKO), and is based on 40 interviews with ATO participants, security force representatives, civil society, judges, and residents of Donbas. The government has taken steps to address the problem of illegal trade; in March 2017, the government banned the transport of all goods through the contact line except personal belongings and humanitarian aid. The government has also created “joint mobile groups” made up of servicemen and volunteers, and “fiscal groups,” of State Border Guard Service and State Fiscal Service officers. But these actions have not been effective in reducing the trade. The report describes 5 ways that goods are moved illegally across the contact line: 1) by car, through checkpoints 2) through humanitarian logistics centers, initially organised to enable retail trade 3) through railway corridors, by using the double bottom of the wagons or in undeclared additional wagons 4) by paying defence and security forces to enable movement outside of formal checkpoints, in the “gray zone,” in 2015 the payment for crossing all the checkpoints could vary from 25,000- 120,000 UAH (US $930-4,450); 5) through a process known as “terminated transit,” in which goods headed for the occupied territories are falsely registered as destined for Russia; once in Russia, they enter the occupied territories through the uncontrolled parts of the Ukraine-Russia border. According to the analysis, this lucrative trade will not be completely halted as long as the occupation continues. It finds that current efforts, including the blockade, have been ineffective in stopping the movement of goods. The report makes a series of recommendations, including immediate steps to mitigate the problem short-term, and long-term solutions. 23rd September 2017, London – Transparency International Defence and Security welcomes the pledge by Heckler & Koch to no longer sell arms to corrupt states, and calls on the wider defence industry to make similar commitments. The German firm has announced that it will use Transparency International corruption assessments as one of three indicators to decide which states to sell weapons to, in what is believed to be an industry first. Heckler & Koch should now publicly announce the exact criteria of this move, as well as which countries this will apply to, ensuring full transparency and accountability. Transparency International’s research has found that selling arms to corrupt states can perpetuate conflict and lead to deadly weapons falling into the wrong hands. This can fuel violent conflict and terrorism, with repercussions both domestically and internationally. Transparency International’s most recent “Government Defence Anti-Corruption Index” found 70% of states assessed for risk of defence corruption are either at high, very high or critical risk. Defence spending is growing fastest in states at the highest risks of defence corruption with real implications for human suffering. 5th September, 2017, London – Corruption is perpetuating violent conflicts around the world. New research from Transparency International – Defence and Security found that fighting corruption is rarely a foreign policy priority, despite mounting evidence it’s a major 21st-century contributor to global insecurity. “The Fifth Column”, published today, found that states most affected by corruption are very often victims of deep conflict. Seven of the ten lowest-scoring countries in Transparency International’s Corruption Perceptions Index were also amongst the ten least peaceful countries in the most recent Global Peace Index. Eroding state’s capabilities to respond to instability and violence when it occurs. Address kleptocracy, or state capture, as a development, diplomatic and security issue, exerting political pressure on corrupt elites, supporting oversight institutions and focusing on improving governance in partner states. Focus on defence governance and avoid treating it as a “special case” that can circumvent normal oversight processes. Stop viewing corrupt autocrats as an alternative to instability and instead limit their influence through options such as financial sanctions, visa bans, and the withholding of international recognition.